Twisted-Silver Old World Bracelet Giveaway! I have the privilege yet again to give you a sneak peek at Twisted-Silver’s new bracelet they are adding to their fantastic collection. Modern meets vintage vibe with this original Old World Bracelet from Twisted-Silverdue to be released April 21! Coupled with it’s vintage inspiration from Eastern Europe and simplicity, it will enchant you and feel much like an heirloom piece. One lucky Blessings Abound reader will win an Old World Bracelet valued at $60! All you have to do in order to be qualified for a chance to win is to visit Twisted-Silver and leave a comment with your favorite VINTAGE VIBE piece. 1. Subscribe to my blog. Current subscribers count too! 2. Blog about this blessing and link back to it. 3. Twitter about this blessing and comment that you did with your twitter id. 4. Follow me on Twitter at http://www.twitter.com/akblessings. 5. Fave my blog on Technorati. Winners who I am unable to contact and who doesn’t claim their prize within 72 hours of me posting the winner of the prize will forfeit their prize and I will redraw a new winner. Please follow directions or you will be disqualified! This Blessing is open to bloggers and nonbloggers alike. You have from now until April 29rd at 11:59 PM (Alaska time) to comment and be entered for a chance to win. I will randomly pick a winner and announce it here on my blog shortly after April 30th! Blessing open to the USA! 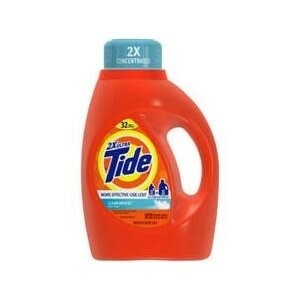 Tide With Acti-Lift Laundry Detergent Review And Giveaway! With five young children, laundry is a daily demanding task that I have to battle with every day. From pre-treating to soaking, it’s easy for laundry to take a good portion of my day and the process seems never ending! Then there are days when I have to run errands where I am not able to do laundry for the day and those stains get dried and caked on. Those are some of the toughest stains to get out once they’ve penetrated the fabric and dried. That’s why I’m so thankful that Tide with Acti-Lift is made with Acti-Lift technology to grab those stains out of dried, soiled clothing! 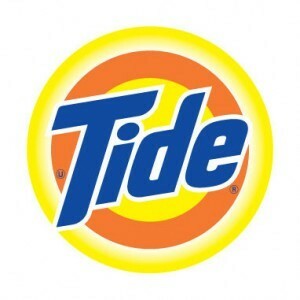 Tide’s Acti-Lift technology is made with three components: cleaning enzyme, cleaning polymer, and whiteness booster. The cleaning enzyme helps provide deep cleaning of fibers so stains lift off with ease and the cleaning polymer is designed to boost Tide’s already great cleaning surfactant to help break-up dry stains and lift them from fabrics. The whiteness booster helps to give a great whiteness result – even in just one wash! I’ve been using Tide with Acti-Lift for a month now and it’s amazing to see the difference it’s made in washing my laundry. It did an excellent job of removing both fresh and old stains from our family clothes. There was a piece of clothing or two where the stains were still apparent after 1 wash, but it was barely visible. I simply took a little of the detergent and applied it directly onto the stain and let it penetrate for ten minutes and put it back in the wash. They came out looking as good as new! What really left an impression was when I washed a dress that had been stained with spaghetti sauce and previously washed with a different detergent. The other detergent never got out those bright orange stains and I was just about ready to give up on ever being able to get rid of those stains, but Tide with Acti-Lift got rid of all traces of the tomato based stains! Deal Alert: You can get $1 off any one bottle of Tide detergent at the P&G eStore. Giveaway Time (required entry): A lucky Blessings Abound Mommy reader will win a six month supply of Tide with Acti-Lift Laundry Detergent (4 bottles)! All you have to do in order to be qualified for a chance to win is to leave a comment on what stains are the most difficult for you to get rid of! Like the Tide Facebook Page. Write on the Tide Facebook Wallstating that you entered to win a six month supply of Tide with Acti-Lift technology on Blessings Abound Mommy with a link back to the giveaway post. One winner will be chosen via Random Drawing. Winners who I am unable to contact and who doesn’t claim their prize within 48 hours of being sent their winning email notification and me posting the winner of the prize in the winner’s section will forfeit their prize and prize will be held in a live contest following failure to claim. Please follow directions or you will be disqualified! This Blessing is open to bloggers and nonbloggers alike. You have from now until December 16th at 11:59 PM (Alaska time) to comment and be entered for a chance to win. I will randomly pick one winner and announce it here on my blog shortly after December 17th! Blessing open to USA only! *Product and information was provided free of charge in exchange for this post from Tide and doesn’t affect my views or feedback of the product or service. This post is based solely on my personal opinion and experience and results may vary person to person. The Bomb Mom Review and Giveaway! He contacted some friends he knew in the business and asked their advise and landed on a previous colleague who had done shirts for him in the past. Elizabeth Jackson. Elizabeth immediately caught the vision for the line as she was now mothering three children of her own. A perfect match was made to get this line out there and on the bodies of all the bomb mommies. The line is expected to launch Spring 09 out of Franklin, TN. Will you join a movement of mommies that consider themselves The Bomb Mom? Through the Mom Trials: Recently, I was asked to review a hip and ultra cool line of shirts that lets everyone know Moms are the bomb! How awesome is that? With all the daily things we do for our families that usually gets taken for granted, what a refreshing way get the recognition we deserve for the self-sacrifice and dedication, not to mention rewarding job we do every day for our loved ones. Moms truly have it going on and what better way to show the world by wearing a The Bomb Mom shirt! I received the Vintage Striped Bomb Mom shirt that has black and grey stripes with the bomb mom in black lettering and a clear rhinestone bomb on it. I don’t know which I should gush about more: the hot style of this shirt or the ultra comfortable feel that makes it my favorite shirt to wear! The rhinestone adorned shirtis sure to be trend setting and whenever I wear it into town, I definitely watch people do a double take to read what is stated on the shirt and it’s a proud moment that I can revel in as nothing means more to me than being a mother! The shirt is made out of 75% cotton and 25% polyester so it remains soft and retains it shape wash after wash. Even after several washes, there is no pilling or fading and the rhinestones are all accounted for. I chose a size small and the fit is right on and flattering and I like that it has a bit of extra length. They also provide toddler shirts and baby shirts that states my mom’s the bomb! How cute is that?! I love the fun you could have in matching shirts! Mom Suggestions: I’d love for them to include a maternity line so us pregnant mothers have a shirt that shouts out we’re the bomb too! Giveaway Time: A lucky Blessings Abound reader will win a The Bomb Mom shirt of their own to fully express how you got it going on! All you have to do in order to be qualified to win is to visit The Bomb Mom and leave a comment with which style of shirt you’d like to win! Winner will be chosen via Random Drawing. Winners who I am unable to contact and who doesn’t claim their prize within 48 hours of being sent their winning email notification and me posting the winner of the prize in the winner’s section will forfeit their prize and prize will be held in a live contest following failure to claim. Please follow directions or you will be disqualified! This Blessing is open to bloggers and nonbloggers alike. You have from now until July 20th at 11:59 PM (Alaska time) to comment and be entered for a chance to win. I will randomly pick two winners and announce it here on my blog shortly after July 21st! Blessing open to USA! Are you a Harry Potter fan? Then this Giveaway is for you! Now you can “Share the Magic of Harry Potter”! It’s been 10 years since Harry Potter and The Sorcerer’s Stone was first published and a whole new generation of children await the magic of Hogwarts, and Quidditch, of Sorting Hats and Spells. Introduce the “little one”in your life to the first book in this remarkable series – Harry Potter and the Sorcerer’s Stone – and get them started on the reading adventure of a lifetime! 5 Blessings Abound readers will win 2 copies of the Harry Potter and the Sorcerer’s Stone so you can ”Share the Magic”! All you have to do in order to be qualified for a chance to win is to visit this site and leave a comment with your favorite Harry Potter book! 3. Follow me on Twitter at http://twitter.com/akblessingsand tweet this Blessing with a link to it and leave a comment that you did with your twitter id. I’ve shared with you previously how Sam’s Club is putting on a Special Buy of the Day (formerly known as the Deal of the Day) every day until December 24th where you can find amazing gifts at unbeatable prices for that day while quantities last. Today’s Special of the Day is the Aquarius 3 Person Spa by LifeSmart! You can get this luxury spa for only $2,498.00, originally priced at $2,962.00. That’s $464 in savings you can pocket on the spot and that also includes free shipping!!! That’s smart holiday shopping! This is one dream gift I know my husband and I would be happy to receive ourselves. In our frigid Alaskan winters, we could see ourselves relaxing and soaking it up in this spa to help beat the winter blues away. We even have the perfect deck with a breathtaking view to put it on. I could picture us being on top of the world in this hot tub overlooking the mountains and watching the aurora borealis! The Aquarius 3 person Plug n Play spa by LifeSmart offers the best combination of features and price of any hot tub on the market today. Utilizing an advanced rotational molded manufacturing method that slashes costs while incorporating many of the same features found in luxury spas makes Aquarius the perfect choice. Designed to fit any space on your patio, deck, or backyard, the plug n play feature allows you to start enjoying the spa right away, avoiding the high cost of spa installation. The attractive design of the Arctic white shell and synthetic mahogany cabinet will fit into any patio or backyard setting. Giveaway Time: A lucky Blessings Abound Mommy reader will win a $25 Sam’s Club Gift Card! All you have to do in order to be qualified for a chance to win is to visit Sam’s Club Holidays Made Simple website and leave a comment with what past or current Special Buy of the Day you like the best! Winner will be chosen via Random Drawing. Winners who I am unable to contact and who doesn’t claim their prize within 48 hours of being sent their winning email notification and me posting the winner of the prize in the winner’s section will forfeit their prize and prize will be held in a live contest following failure to claim. Please follow directions or you will be disqualified! This Blessing is open to bloggers and nonbloggers alike. You have from now until December 1st 11:59 PM (Alaska time) to comment and be entered for a chance to win. I will randomly pick one winner and announce it here on my blog shortly after December 2nd! Blessing open to USA only! It’s another day of Special Buys that are released every day at Sam’s Club! You know, the money saving deals that I’ve mentioned where a product is introduced daily at a low price that’s hard to pass up. Today’s mouthwatering Special Buy of the Day is Castle Wood Angus Prime Rib and you can purchase that in store at your local Sam’s Club for only $8.84 per lb! This delectable main course will be a starring attraction at your Christmas or New Years dinne. Couldn’t you picture this succulant prime rib with some loaded mashed potatoes, tossed green salad, and rolls? Yum, I can almost feel my taste buds rejoicing with the thought of that fine meal! The best part is, besides the affordable price tag, is that this prime rib is no fuss to prepare as it’s ready to heat and serve when you buy it from the store, leaving more time to get your other entrees ready to wow your family and guests! Remember quantities are limited so you’ll want to act quickly to score this fantastic deal! Giveaway Time: A lucky Blessings Abound Mommy reader will win a $25 Sam’s Club Gift Card! All you have to do in order to be qualified for a chance to win is to leave a comment with what you plan to cook or prepare for your Christmas Eve or Christmas or New Year’s dinner! Winner will be chosen via Random Drawing. Winners who I am unable to contact and who doesn’t claim their prize within 48 hours of being sent their winning email notification and me posting the winner of the prize in the winner’s section will forfeit their prize and prize will be held in a live contest following failure to claim. Please follow directions or you will be disqualified! This Blessing is open to bloggers and nonbloggers alike. You have from now until January 2nd at 11:59 PM (Alaska time) to comment and be entered for a chance to win. I will randomly pick one winner and announce it here on my blog shortly after January 3rd! Blessing open to USA only!